Few guitars are as important to the history of rock as the Telecaster Jimmy Page used to create the iconic, genre-defining riffs of Led Zeppelin. Originally received as an undecorated gift from Jeff Beck, he used this 1959 Telecaster to unleash his larger-than-life riffage and fierce soloing upon the world. By mid-1967 he decided to strip the instrument down to bare wood and drawing on his art school training, repaint it himself with what became the iconic “Dragon” design. 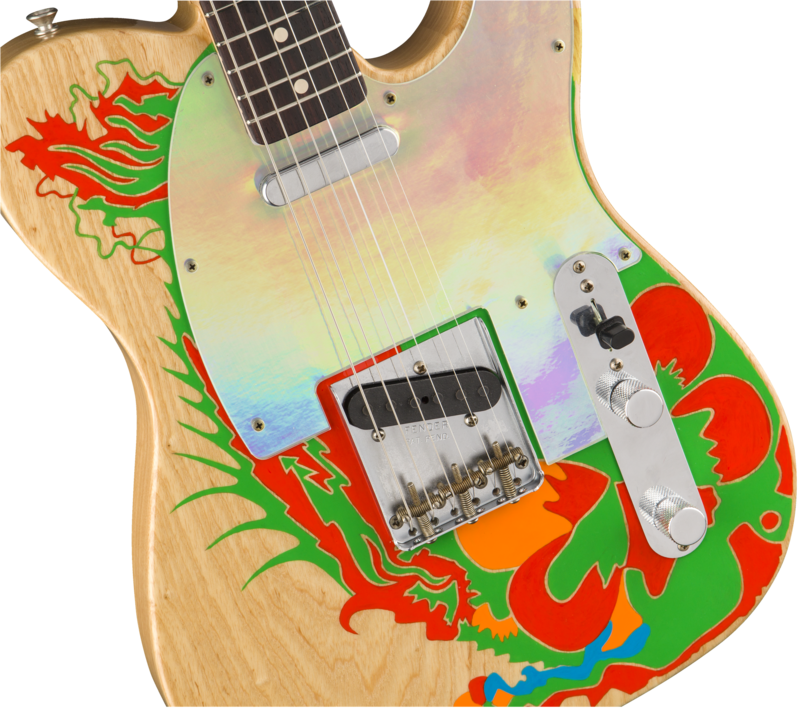 Page partially painted over the stripped 1959 Telecaster with darts and curls of green, orange, yellow, blue and red in a pattern that formed something of a swirling, psychedelic, vaguely Japanese dragon. The beast’s flaming red horns and green head rest inside the blunt upper horn, green scales run down its neck as it breaks into a colorful abstraction that could include a cracked egg near the control panel and a tail that snakes into the upper bout from the lower. To recreate this legendary instrument, Master Builder Paul Waller and Page collaborated in person to ensure each guitar of these 50 sets perfectly matches the original. Page visited our Custom Shop in Corona, CA and personally painted a portion of the dragon design on each guitar. We’re both pleased and proud to present this instrument that honors the man, his music and the guitar he used to create it. Painstakingly hand-built by Waller under Page’s eager, direct supervision, every component of these stellar guitars matches the original’s. The off-center-seam two-piece ash body hosts a period-accurate lacquer finish, and bears the dragon design hand-painted by Page himself. A pair of Custom Shop Hand-Wound 58 single-coil pickups, routed through modern Tele® wiring and a 3-position pickup switch offer authentic, inspirational Fender tone. 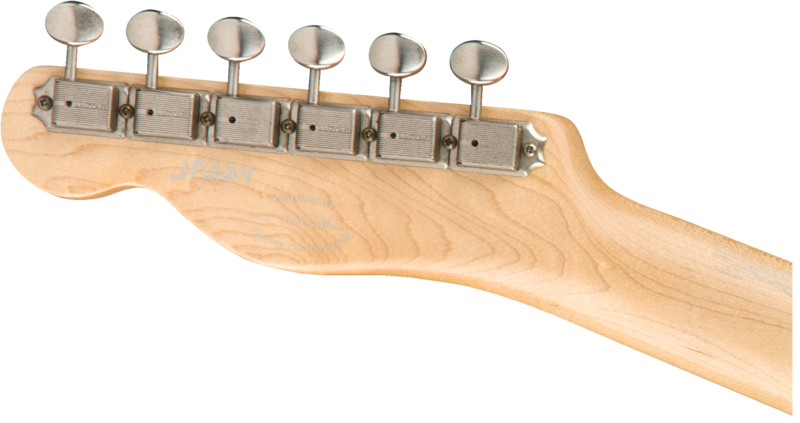 The tinted maple neck’s “Oval C” profile is comfortable for almost any playing style, and precisely matches the profile of Page’s original instrument, so you can enjoy the same playing feel he has for decades. 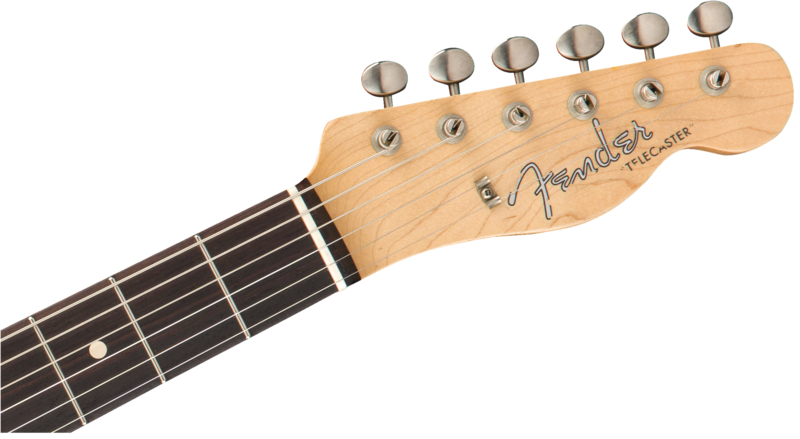 The 7.25”-radius rosewood fingerboard matches the specs of the era, right down to the 21 vintage-sized frets. 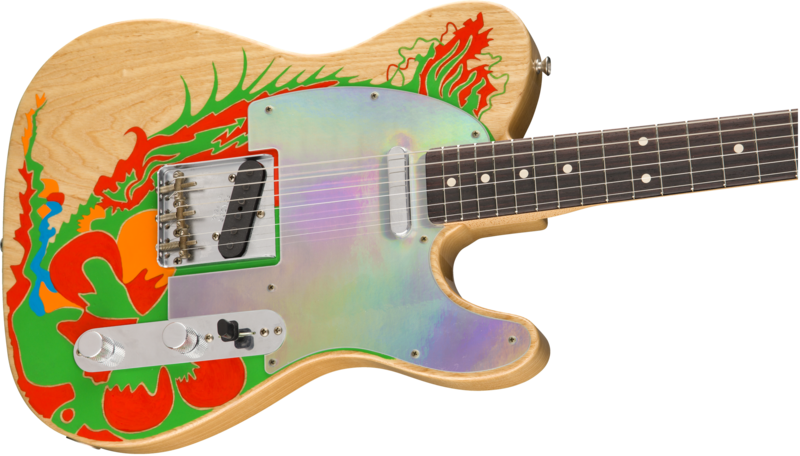 Other features include a custom 8-hole Clear pickguard, 59 top-load Tele bridge, vintage-style tuning machines, bone nut and wing string tree with metal spacer. Includes a custom hardshell flight case, white seatbelt-style strap, super-long white leather strap, red coiled cable, violin bow, rosin, Herco® guitar picks and Certificate of Authenticity. Although this is a collector’s item it’s still an exact recreation of the original guitar, so if you get the itch to plug in and crank it up you will have the guitar’s legendary tone and vibe on tap. **DRAGON is a U.S. registered trademark of PRS Guitars and is used with permission. Included Accessories: Custom Anvil Case, White Leather Strap; White "Seat Belt" Strap, Red Coiled Cable, Violin Bow, Rosin, Herco® Picks, Signed Certificate of Authenticity.